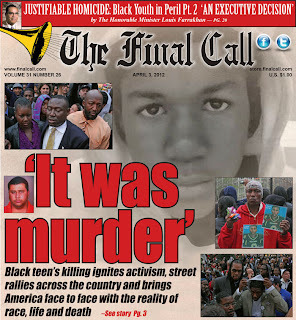 (FinalCall.com) - The fight for justice in the death of Florida teen Trayvon Martin has now become a movement as more details surrounding the investigation continue to emerge. However, one thing has not changed: the shooter, 28-year old George Zimmerman, is still free and this has those close to the victim very upset. 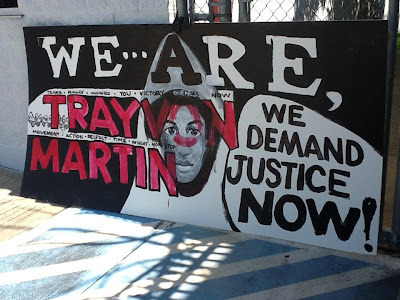 “I would sleep better if Zimmerman was behind bars instead of being free on the streets with the possibility of killing someone else,” Aiyanna Fleming, 17, told The Final Call. Ms. Fleming, who attends Miami Carol City High School in Miami Gardens, Fla., said when she first learned that Mr. Martin was dead, she called his phone three times and got no answer. “He was the complete opposite of the image that the news has tried to make him out to be. He wasn’t a trouble maker, he kept to himself and made us laugh,” she said. Ms. Fleming and Ashley Burch were best friends and classmates with Mr. Martin. They are devastated that instead of going to the skating rink, watching movies or eating pizza with him they had to attend his funeral. “It’s so hard to explain how painful it is that our friend is gone. I still can’t believe it. Trayvon was a very mature nice person. 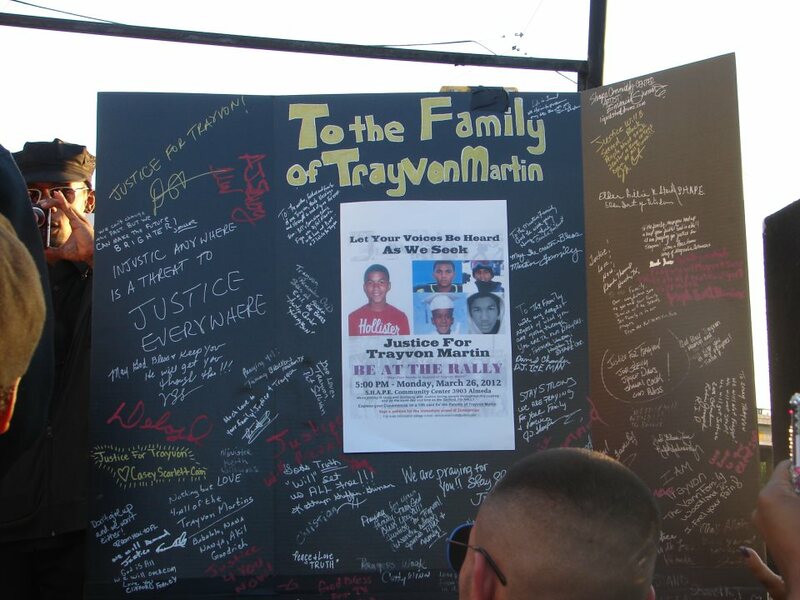 I want Zimmerman to go to jail and charged as a murderer and nothing less,” Ms. Burch, 17, told The Final Call. “Zimmerman can make his legal argument about ‘Stand Your Ground’ and self-defense in a courtroom. To shoot somebody who was unarmed with a bag of Skittles and not be arrested cannot happen. Had Martin shot Zimmerman, he would be arrested day one, hour one and on the spot. And he’d still be sitting in a jail,” said Attorney Benjamin Crump while visiting a Tallahassee church service. He is representing the victim’s family. Tracy Martin and Sybrina Fulton, the father and mother of 17-year-old Trayvon, received the news that the Justice Department’s Civil Rights Division has opened an investigation into the killing of their son. A grand jury is scheduled to begin hearing the case April 10. “The department will conduct a thorough and independent review of all of the evidence and take appropriate action at the conclusion of the investigation. The department also is providing assistance to and cooperating with the state officials in their investigation into the incident,” a statement released by the Justice Dept. said. The grieving parents addressed thousands who gathered for the “Million Hoodie March” on March 21 in Union Square in New York City. “My son did not deserve to die. Our son is your son. My heart is in pain. Seeing the support from all of you really makes a difference,” said Ms. Fulton.